Brown butter Bundt with salted caramel icing — yes, you need this cake in your life. Could you eat any dessert (or fruit or bread for that matter) that has been drizzled with caramel? I could! Caramel is one of my favorite flavors. To highlight caramel, I chose to use a cake recipe from Cooking Light for their brown sugar pound cake and used brown butter in the batter. What a distinct, nutty flavor the brown butter added to this Bundt cake. 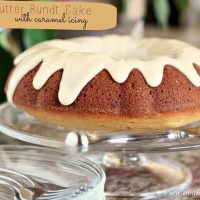 I kept it simple for this brown butter bundt with salted caramel icing but you could add walnuts or pecans to the batter or on top of this cake quite easily. The caramel was reserved for the icing and the combination was just right. The icing is off-white and not the deep caramel color I expected, but that is due to the icing base of butter and powdered sugar. The flavor of the homemade caramel sauce comes through beautifully and is amplified by the touch of salt. Looking for more caramel tastes? Try these luscious dulce de leche cookies. Bundt cakes feed a crowd and make for a great dessert for summer get-togethers. You’ll enjoy recipes for Chocolate Bourbon Mini Bundt, orange creamsicle Bundt cake, and Lime and Coconut Bundt Cake. This month’s #BundtaMonth theme of CARAMEL will surely give you ample inspiration for a cake to make as your next crowd-pleasing dessert. Each month Baker Street and Cake Duchess share a theme and our group bakes along. Want to join us? Please do! Brown butter yields a deep flavor in this simple Bundt cake and the salted caramel icing makes it a cake worthy of a celebration! Preheat oven to 350 degrees. Prepare a Bundt pan with cooking spray and coat with breadcrumbs. First make the brown butter (here are instructions from a Cooking Light article). Let it cool for about 10-15 minutes. In a large bowl mix the flour, baking powder, and salt. Separately, add the brown butter to the brown sugar and vanilla, beat with a stand mixer (or electric mixer) until well-combined. Add eggs and oil. Now add the flour mixture to the sugar & butter mixture, alternating with the milk. Don’t skip this step of alternating as it adds to the structure and formation of the crumb of the cake. Start and end with the flour, mixing on low speed. Pour the batter into the prepared Bundt pan and bake for 60-70 minutes. Cool completely in the pan then invert onto a cake plate. Combine 1/4 cup sugar and water, stirring at first then allow the mixture to heat undisturbed over medium high heat. Simmer for about 7 minutes or until the caramel color develops. Remove from heat and add the cream, stirring until smooth. Let cool before adding to the remaining ingredients. Meanwhile, cream the butter and salt until light and fluffy. Add the powdered sugar and brown butter, mixing until smooth. Now add in the cooled caramel and mix on medium low until well combined. Pour over the cooled cake. Enjoy! Cake recipe adapted from a Cooking Light brown butter pound cake recipe. Thanks for another fun month of Bundt baking, this was one of my favorite themes. I am hungry reading through all of these posts and can’t wait to make caramel again. Yes, brown butter! One of my favorite ways to deepen flavor in desserts! I’m with you. I love caramel. It just rounds out so many flavors so nicely. You cake looks amazing. Karen, I’d eat caramel on just about anything. I am determined to master the art of caramel and be more at ease when making it at home. Browned butter with caramel?!? YUM!! What a great idea and that frosting looks so perfect. Thanks, Kate, I loved the cakes in this month’s caramel theme. Each one sounds better than the last and all so tempting! LOVE this bundt!!! looks so beautiful and delicious. . LOVE browned butter . . yummm! Thanks, Alice! Wishing I still had this cake left to eat another slice but it disappeared quickly…as I am guessing all of our caramel cakes did this month! Thanks, Anne, this was tasty but it paled in comparison to many of the Bundts the group baked this month. Everything looked wonderful! Ahh, the brown butter…ahh, the caramel… this cake has it all! Bundt cakes are so good for summer eating, or to take to the beach or picnic. The glaze is even festive looking Holly! Confession! I have never made a Bundt cake and I haven’t even eaten one :)) LOL.. Looks like I have a LOT to learn on the food front .. so I am thinking.. I should begin with this one ! Brown butter has been on my list of things to try in a sweet recipe. 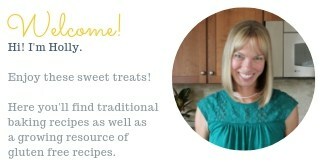 I must have pinned a thousand from Kayle – the Cooking Actress – and now I’ll have one more. This is gorgeous, Holly! I love the way your salted caramel glaze drips down so beautifully. It’s just perfect. Browned butter and caramel is a match made in heaven. Lovely bundt!! I love anything caramel. Brown butter takes it over the top. This combo sounds amazing! 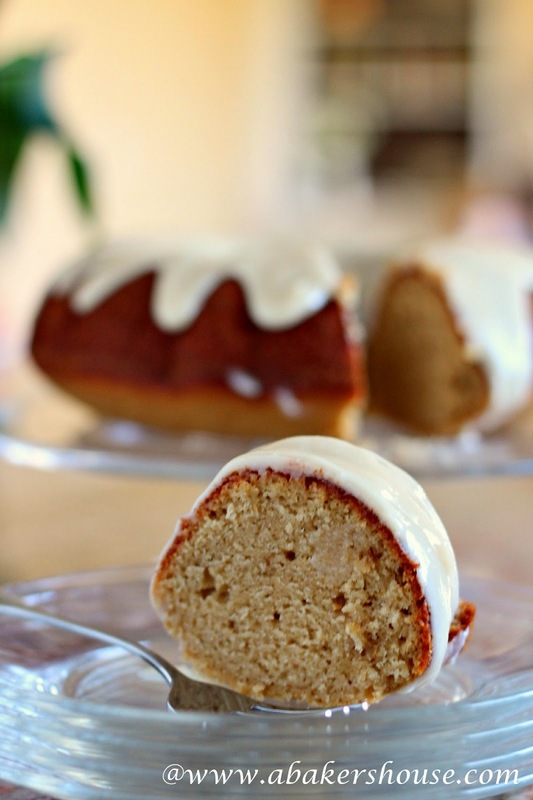 Pinning…I bought a Bundt pan and still haven’t used it! 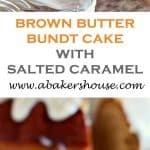 Lovely and delicious Brown Butter Bundt with Salted Caramel. Its really looks amazing!. 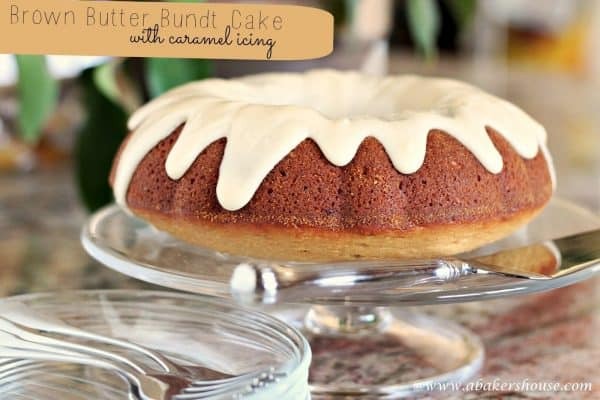 Brown Butter Bundt Cake? I’ll take a slice of this! You always have the most beautiful desserts and breads, Holly! Pinning! I hope you enjoy the rest of your week. Yum, this sounds delicious Holly. I love the taste of brown butter and the glaze on top looks so good.